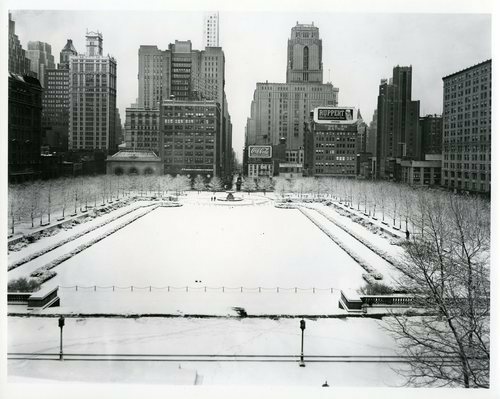 From ‘Reservoir Square’ to ‘Bryant Park’, this photo was taken from 42nd Street facing southeast, around the time of the New York Public Library construction. The statue you see is no longer in the park. Against a vastly different skyline than today, this photo faces west from behind the New York Public Library. 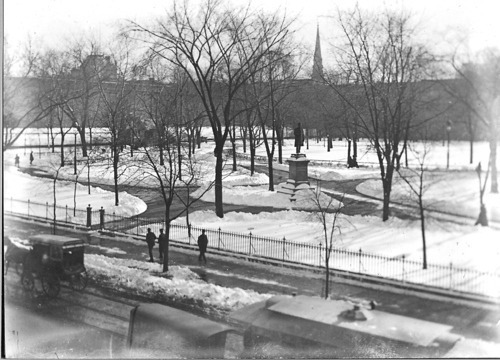 You can see the London Plane trees as saplings and the Josephine Shaw Lowell Memorial Fountain on the Sixth Avenue side of the park. Read more about the park’s history and monuments at bryantpark.org.